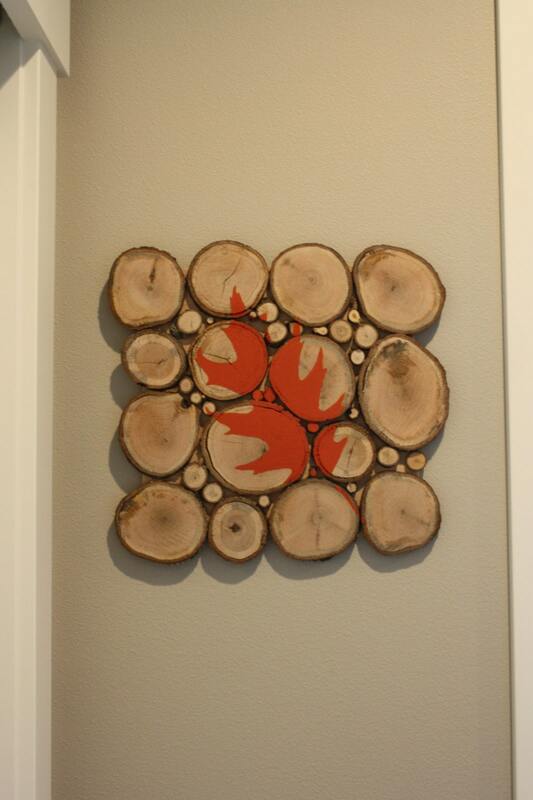 Gorgeous wall decor made of oak wood slices from Minnesota. 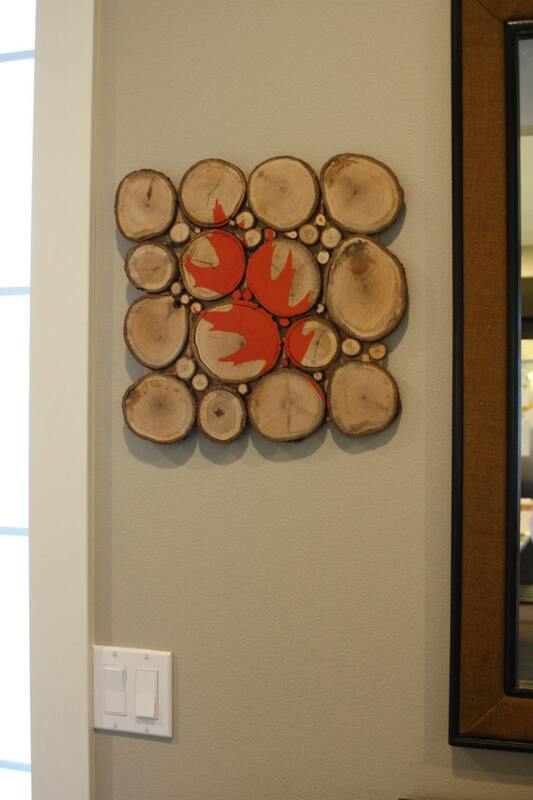 I handcrafted it, including painting the oak leaf by hand. If you're wanting an updated look for your dining room, a unique piece for a spot in your living area, or a touch of rustic decor for your baby's nursery, then you've found it. 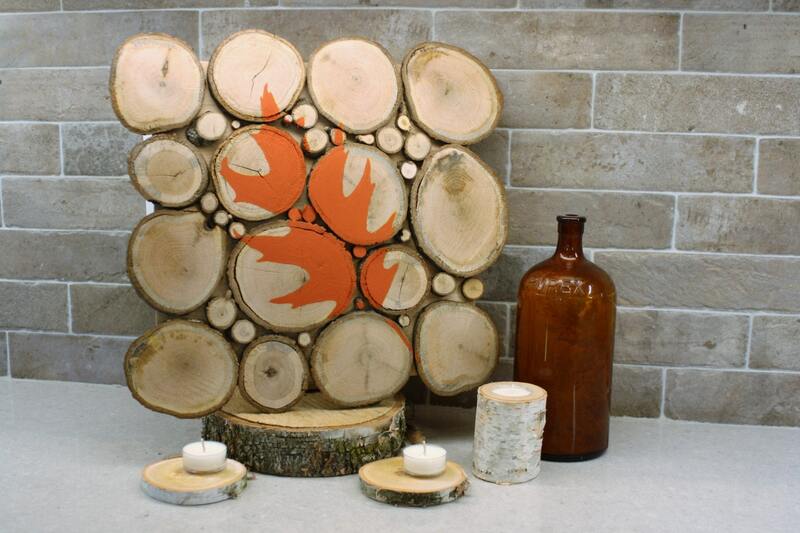 Buy more than one for an even cooler rustic woodsy look. 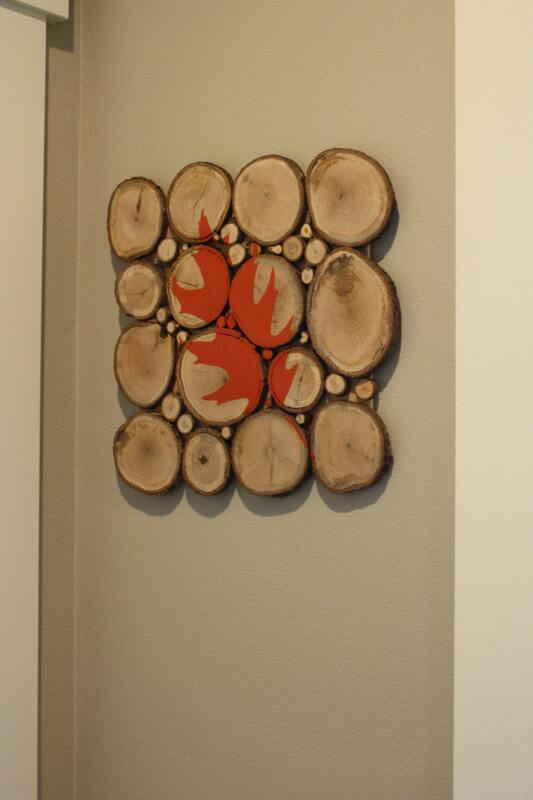 This piece features a picture bracket on the back for easy wall hanging. The slices have been oven dried. 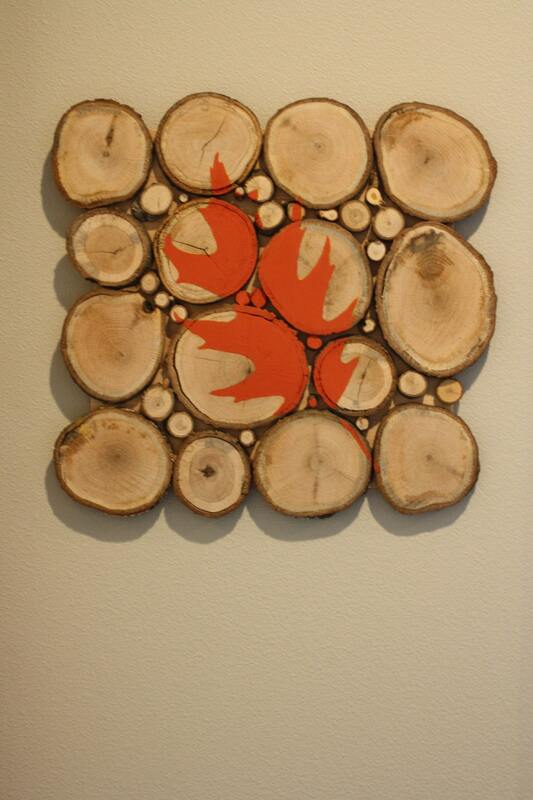 Measures approximately 14" x 14"